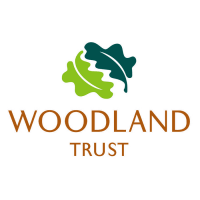 The Woodland Trust is the UK’s leading conservation charity, caring for the long term management and conservation of woods in the Faughan Valley. As an Environment Monitor you will be helping to conserve the natural beauty of the Faughan Valley by assisting the project team with the practical management of the landscape. Surveys are an important part of this as the results determine what management plans to put in place to help conserve, protect, maintain and enhance the sites in the Faughan Valley. This is primarily a seasonal role to support the development of a major landscape-scale woodland project across the Faughan Valley. Surveys are varied, covering anything from generic hedgerow, woodland or habitat surveys to more specific: bat, lizard or frog orchid surveys. These tasks will cover the whole of the Faughan Valley from Ness Wood to Claudy Country Park and will feed into our plans for delivery. Anyone who is capable of a little light work and enjoys spending time outside is welcome to join us regardless of age, ability and motivation. Some background knowledge of the flora and fauna to be surveyed would be preferable. You will need to be based locally (within 30 miles). For further details about the role please visit our website.